Thank you for your registration. 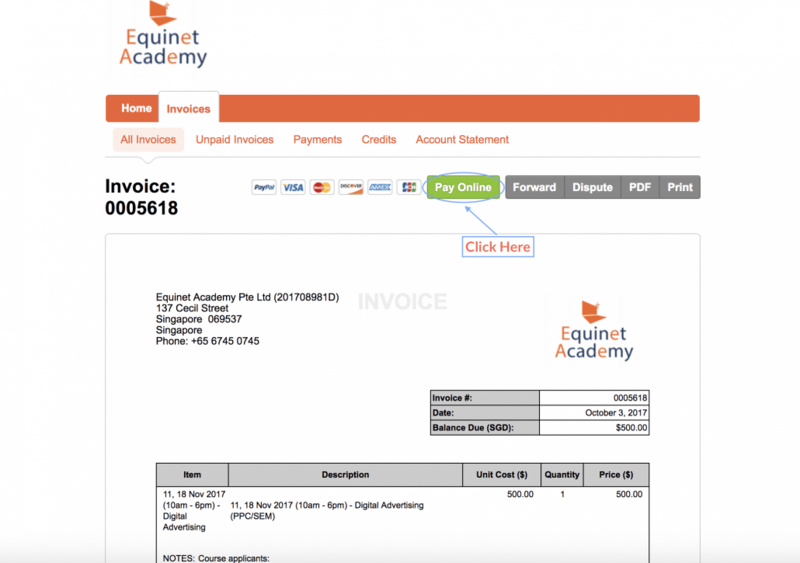 As you have chosen to pay via SkillsFuture for your Digital Advertising (PPC/SEM) course, you may follow the instructions to make payment. Please note that you can only make payment via the SkillsFuture Website within 60 days before the class start date. For example, if the course starts on 1st March, you may start submitting your claims on 1st January. 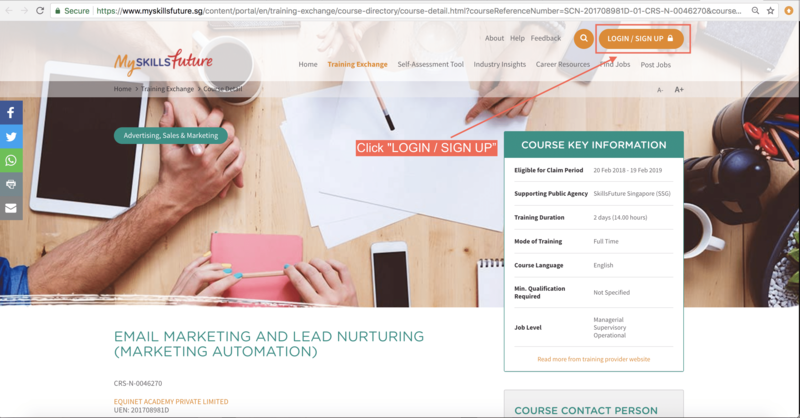 a) Navigate to Myskillsfuture.sg Email Marketing and Lead Nurturing (Marketing Automation) Course and click “Login/Signup”. Note: If you have already completed your profile information on MySkillsFuture, skip to Step 2.
d) Click “Submit” Note: If you have already completed your profile information on MySkillsFuture, skip to Step 2.
e) Fill in all required fields and click “Proceed to Submit Claim”. 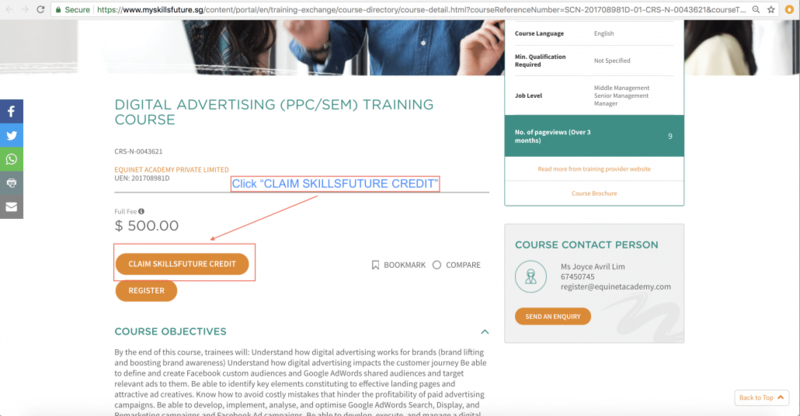 a) Navigate to Myskillsfuture.sg Digital Advertising course to submit your claim. Click “Claim SkillsFuture Credit”. b) Select your course start date. Fill in the actual course fee at the ‘fee payable by you’ box and the amount you wish to claim at the ‘amount of credit to claim box’. 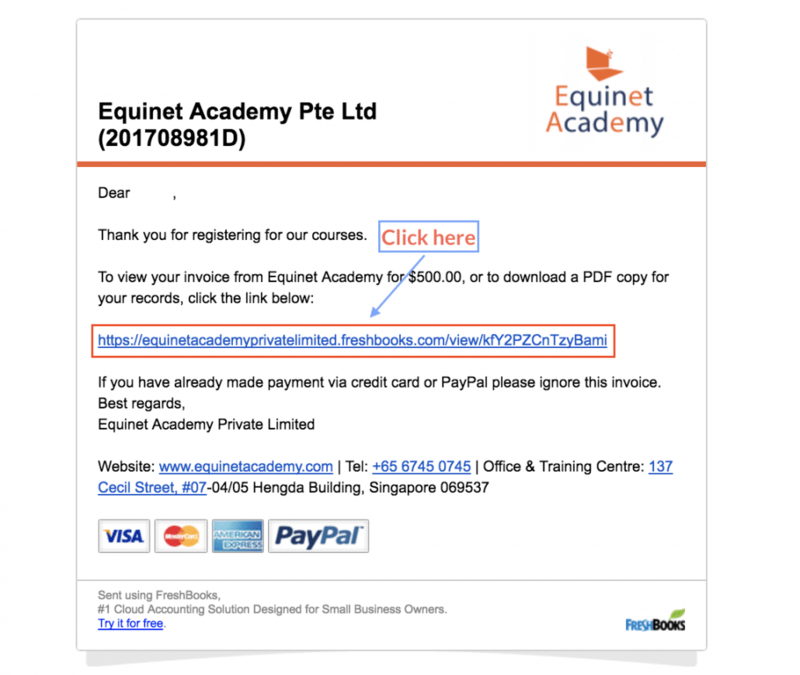 d) To download the PDF version of the invoice, click on the invoice link sent to you in a separate email. You will be directed to the confirmation page stating your claim has been successful. If you do not have an outstanding payment amount i.e. your course fee is $500 and you claimed $500 SkillsFuture credit, please email us your claim ID to confirm your class seat. If you have an outstanding payment amount, kindly proceed to Step 3.
a) To make payment by credit card or PayPal for the remaining amount (if you have insufficient SkillsFuture credit), click on the invoice link in a separate email, click “Pay Online”. 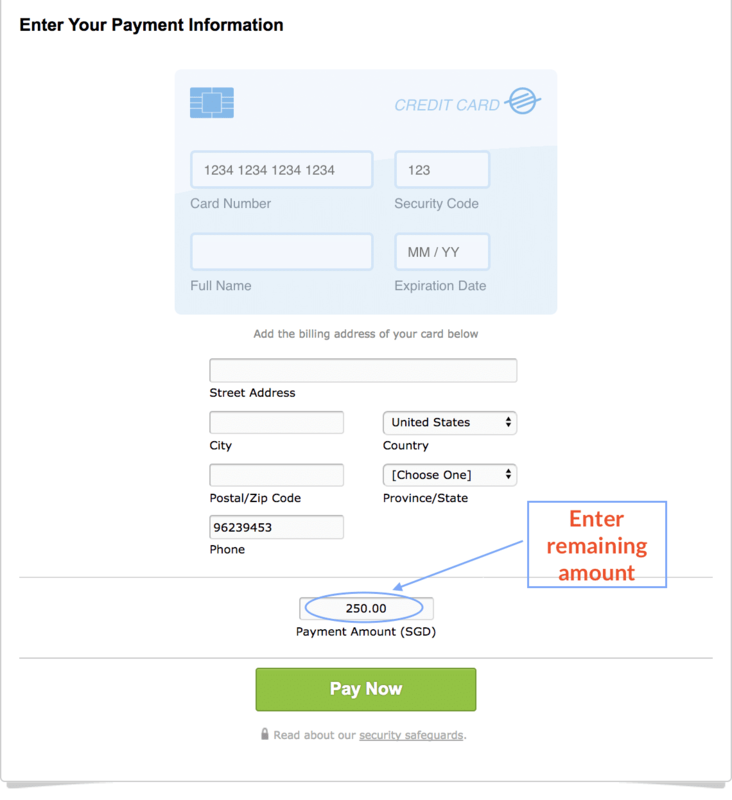 Enter the remaining amount i.e. $250.00 upon payment. To make payment for the remaining amount via iBanking, kindly transfer to DBS Current 003-947024-0 and send us a receipt/screenshot of the transaction. Once you have successfully submitted the payment via SkillsFuture, kindly email us your Claim ID to confirm your seat. ***Please note that the earliest you can make payment via the SkillsFuture Website for the course is 60 Days before the class start date. Important note: Payment must be made within 7 days from the date of registration in order to confirm your seat(s). Thank you and feel free to contact us should you require any assistance.